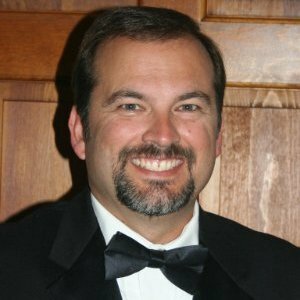 Reston, VA, February 11, 2016 - The Virginia Association of Surveyors ( VAS) announced today that Michael Starling has assumed the office of President of the association for 2016. Mr. Starling was sworn in at the VAS General Membership Meeting and Convention held January 21-23, 2016 in Norfolk, VA.
Michael is the owner of Shoreline Surveyors, in Accomac, Virginia. Starling began his career in surveying in 1988, received his license in 2002, and started Shoreline Surveyors in 2005. Michael has been a member of the Virginia Association of Surveyors since 2003. He has served on the board of the Tidewater Chapter from 2005 to 2014, and as First Vice President of VAS from 2014-2015. Michael succeeds David Gardy, owner of Gardy and Associates of New Kent, VA, after a successful term as President. "I am excited and honored to take on this new role within the Virginia Association of Surveyors," said Starling. "I hope to continue the traditions of the VAS while leading the association and the surveying profession in new initiatives." VAS recently introduced a new logo, will launch a new website in the spring, began a strategic planning process, and is developing new programs, educational instruction and networking opportunities for surveyors across the Commonwealth.